In between appointments in Carthage MO today, I had time to check out one of the historic buildings on this pretty town’s picturesque square. 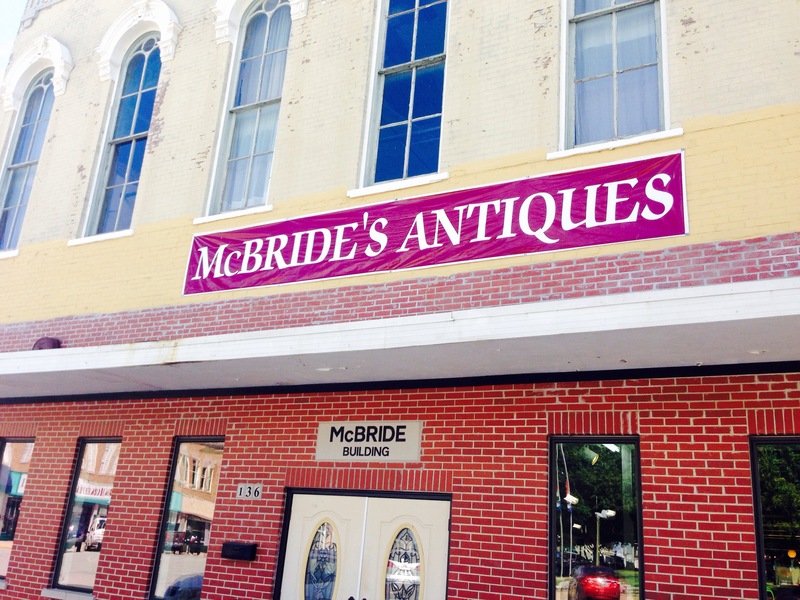 I’ve heard of the old Burlingame & Chaffee Opera House, home now to McBride’s Antiques. It’s about to attract attention at a national level. I decided to walk through this afternoon and see what I saw…and felt. The building, located on the southern side of the square, was built in 1877-78, on the site of two previous buildings that were destroyed during the Civil War. 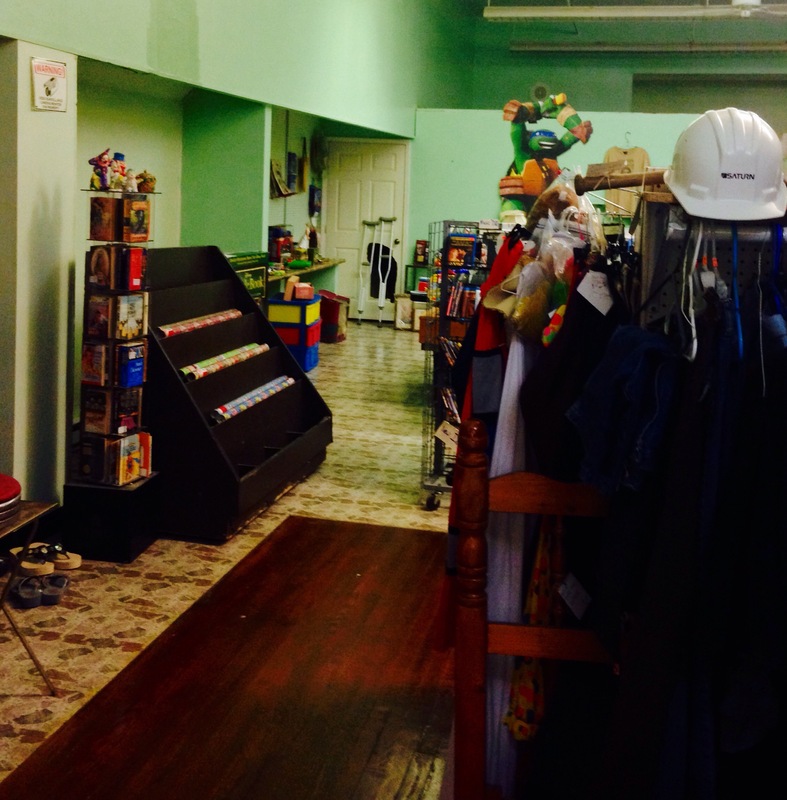 A hardware business operated on the main floor. 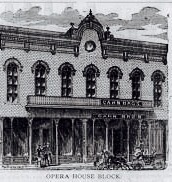 The Burlingame & Chaffee Opera House debuted on the second floor on February 21, 1878. 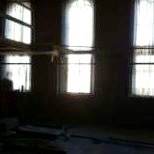 During the construction of the building in 1877, reports began of paranormal activity. Construction workers spoke of hearing the distinct sound of musket and cannon fire, while working in the basement. Continued activity has been reported over the years, as the building’s use has shifted and changed. The current owner and his employees, and customers within the building, have had many incidents of auditory and visual phenomenon, with most of the activity being reported in the now vacant opera theater. The main floor has its share of reports too however, including the presence of a small boy and an older, grandmotherly woman who seems to watch over the him. An old photograph taken in the vacant opera house. Note the figure on the left, at the window. 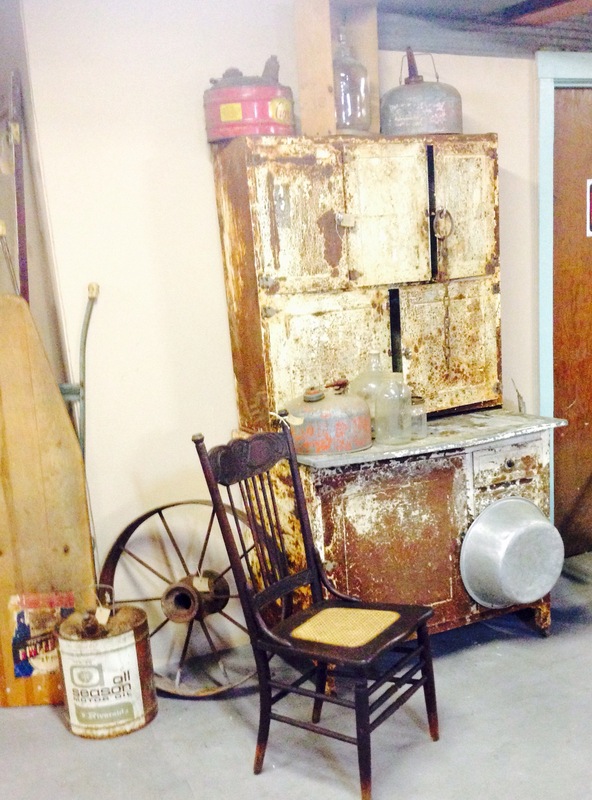 I strolled through McBride’s Antiques, which is housed on the main floor, and John Oliver’s, featuring antiques and collectibles, in the basement of the building. Other than Keith McBride, and two employees (perhaps the owners) in John Oliver’s, I was alone in the building. I walked slowly through both spaces, my ability to sense energy spreading out around me like an invisible, tactile net. And this is what I picked up. Heavy energy on the main floor that prickled across my back. I feel negative or low energy, dark or trapped energy, across my upper back. The stronger or more intense the energy, the stronger the sensations across my back. Light, higher vibrational energy makes my scalp tingle. There wasn’t any scalp tingling going on. As I walked I stopped several times, catching movement out of the corner of my eye. Surprisingly, the basement felt better to me, which is unusual. Basements often hold a lot of old, heavy energy and they are uncomfortable to me. Back upstairs, the prickliness across my back became a dull ache that moved up my neck to the back of my head. I’m curious what I would have felt upstairs, in the opera house. McBride has been curious about his building as well. He has had a local paranormal investigative team onsite, that recorded high activity. Most recently, the opera house was visited during the summer by the SyFy Channel’s “Ghost Hunters”. According to McBride, the team, led by Jason Hawes and Steve Gonslaves, not only investigated the building but researched Carthage history. The episode, titled “A Fright at the Opera”, will air on SyFy September 23, at 8:00 PM. Many viewers across the U.S. will tune in. 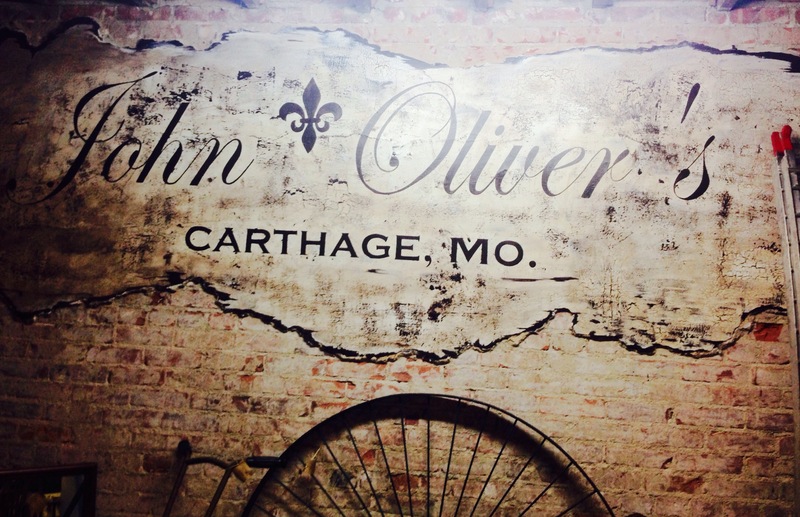 People will turn their eyes and interests toward Carthage, MO and the old opera house. After my walk through today, and research tonight, I’ll be watching as well. 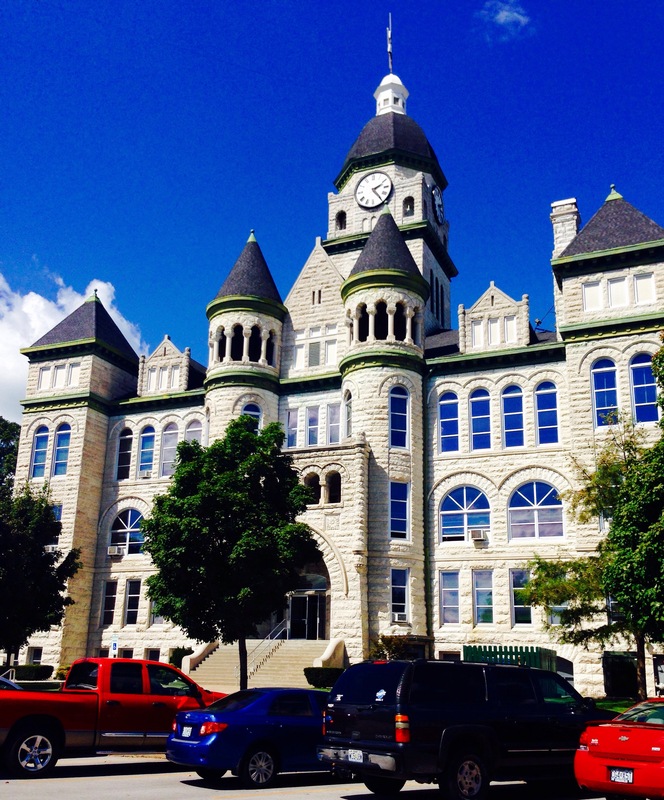 The historic Carthage Courthouse, across the street from McBride’s.